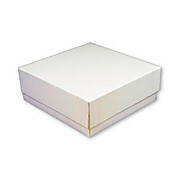 Cardboard boxes for freexer racks. 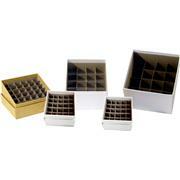 Some models available with a cell divider, drain hole and/or drain slots. 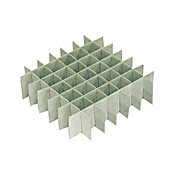 Cardboard w/ Drainhole, 5 1/4" x 5 1/4" x 2". 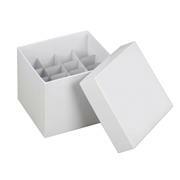 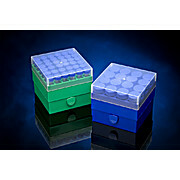 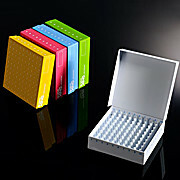 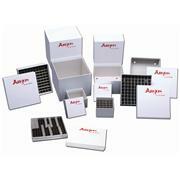 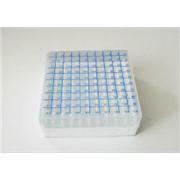 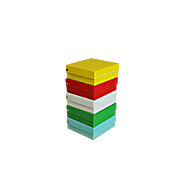 Standard cardboard cell dividers fit all 2" and 3" standard cardboard and metal boxes.